Located in Halton Region on Lake Ontario, Oakville is a suburban town sitting halfway between Toronto and Hamilton. Oakville is not only a part of the Greater Toronto Area but it’s also one of the nearest, most densely-populated areas of Canada. Trust the best “Oakville limo service near me” to take you around town in the freshest rides from our fleet and experience Oakville in all its glory for the most budget-friendly rates in the business. Popular for its beautiful nature, Oakville is a regular tour-stop location of the keen rock-climbers (and ice-climbers! ), wine lovers and sight-seeing enthusiasts – you’ll love it here! Another great news? Limo service Oakville will get to you to other surrounding Oakville towns near your location swiftly: with Ajax Limo, Pickering Limo service, Whitby Limo service and other available options within VIP limo 4you, your black car Oakville experience will be fantastic! If you need a reliable transportation provider for a wedding, prom or a regular night out– VIP limo 4you is always the right choice. Due to its great position, Oakville is almost a regular host of various business conferences, gatherings, seminars, and other business-related events near you. Entrepreneurs, health workers, brand representatives, etc. from around Canada come to Oakville for their conferences where they get the chance to not only pick up new information and knowledge from their colleagues, teaching professors and other experts in their field but also enjoy Oakville in its finest. Book a ride on demand with VIP limo 4you and have the finest Oakville limo car service take you from point A to point B, C, D, and E… or just drive you around for a little bit of pleasurable Oakville sightseeing. 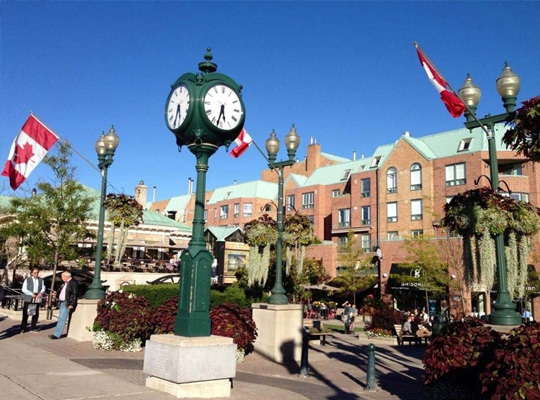 City tours and sightseeing adventures are always fun when the city is as fun as Oakville is. From super entertaining road shows to wine tours and wonderful nature’s sights, going around Oakville will sure leave you mesmerized. Choose our services and your appointed driver will follow your instructions or even suggest certain routes that will enrich your sightseeing experience. Go wake up the wild by exploring the behind-the-scenes wonderfulness of African Lion Safari, enjoy a historically-themed illustrated talk at Friends of Battlefield House Museum, stop for a session of rock climbing (if that’s your thing) or spend some of the time shopping at Toronto Premium Outlets. At the end of the day, ask your chauffeur to take you to any of the Oakville gorgeous vineries near your location, like Silver Oak Cellars, B Cellars Winery, Miner Family Winery or any other Oakville wine-spot you’ve been hearing a lot of about! VIP limo 4you is the finest Oakville limo car service, and you shouldn’t even think twice before booking your ride. With an organized Oakville airport transport, be sure you’ll arrive at your business gathering stress-free and looking just as good as you did when you boarded the plane; VIP limo 4you always makes sure our customers are handled with the best possible treatment. Even if you are headed elsewhere after your Oakville escapade, and you need an organized shuttle transportation from Oakville to Pearson airport – VIP Limo 4you has got you your back. Our expert chauffeurs will make sure you stay right on schedule while our dispatch staff monitors even the tiniest of transportation details you have required. Limo Oakville to Pearson covered by VIP limo 4you will meet all of your location expectations – and that’s a promise.